The letter thanks Mrs. Judd for a radio she provided to Martha Berry and also invites Mrs. Judd to visit the school. 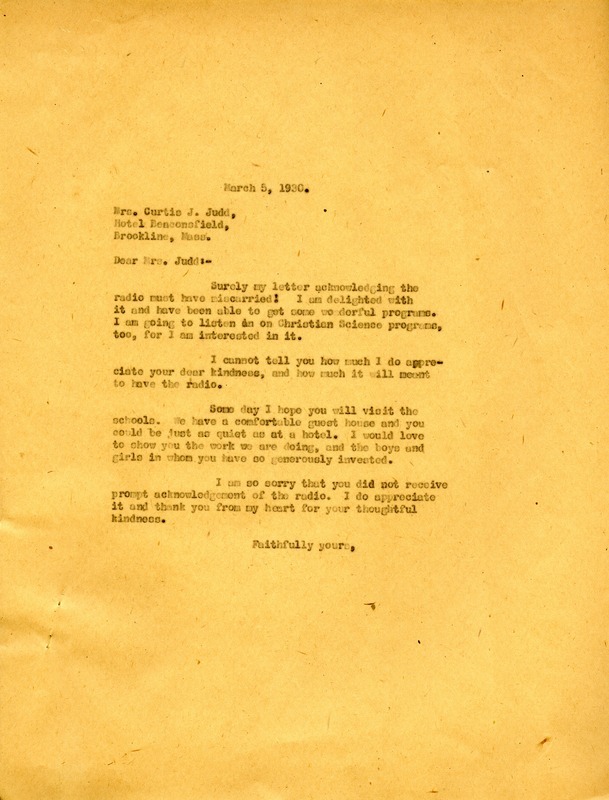 Martha Berry, “Letter to Mrs. Curtis J. Judd from Martha Berry.” Martha Berry Digital Archive. Eds. Schlitz, Stephanie A., Chelsea Risley, Alan Henderson, et al. Mount Berry: Berry College, 2013. accessed April 21, 2019, https://mbda.berry.edu/items/show/13028.